While in Zambia, I was discussing ministry styles and corresponding effectiveness of those styles with key movement leaders. 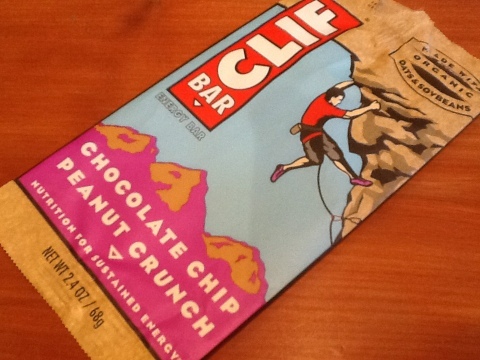 During the day I took a break and opened one of my favorite Clif Bars, a nutritional energy snack. While snacking I noticed an intriguing story on the wrapper of the Clif Bar. The writer was describing the contrast between a full expedition style of mountain climbers and a small, mobile and agile mountain climbing style. The large expedition included over 200 porters traveling with at least 20,000 pounds of equipment, food and supplies. All of this effort just to put a handful of people on the peak summit. The writer contrasted that style with what he and his friends prefer, which he entitles Alpine style hiking. That style requires very little. It is efficient, mobile, lightweight with minimal baggage and they leave their camp sites as if they were never there. No waste left behind. Their attitude is, every destination is beautiful in itself; not simply a means to an end. These hikers do not believe that they must reach the top at any cost, in life or in business. I agree with this line of thinking and I believe it is a very good model for ministry that most reflects our Lord and King. I have observed ministries that reflect more the first model of hiking rather than the second. They think in order to accomplish more, or reach the top, they must get bigger, gain more prestige, capture more recognition, accumulate more money, build an ever increasing staff, and make sure they leave as much baggage behind to assure that others know they were there. They grow so large that it prohibits quick responsiveness and mobility. They hope to control whatever they initiate so they brand their name on every project. I contrast this approach with guiding a ministry that is able to respond quickly, influence, equip and empower and at the same time leaving nothing behind, apart from life and health itself. We do not need to make a name for ourselves. Our identity is not in our size, our accomplishments or our financial strength. Rather, our identity remains in the Life-giver Himself and we want to respond to Him as quickly and effectively as we possibly can. We want to move when He says move and go when He says go. The more we advance His nature, His culture, His name, the more we will accomplish what He has set before us. We will not accomplish His purposes by advancing our own. We travel light leaving no baggage or name behind. Its as if we were never there. All that remains is how He intended it to be and what those that we served want to keep. We fully embrace and enjoy each ministry along the way that we are honored to partner with. The relationships we have are considered treasures and we deeply cherish every single one! So, this is Clif Bar theology. Remember, travel light, enjoy the journey, keep Him as your focus. Its not a bad situation if you have a small ministry. It might even be better! In doing ministry this way you will keep your ministry simple and effective and you are on your way of developing a healthy ministry for the kingdom. Take a bite of this health bar and you will not be sorry. I couldn’t agree more! What an incredible revelation. Thanks for sharing! I’m Jewish, live in Israel, and believe in God. I found what you wrote here to be very intelligent and moving. Thanks!